This is exactly what makes it all worth while !! 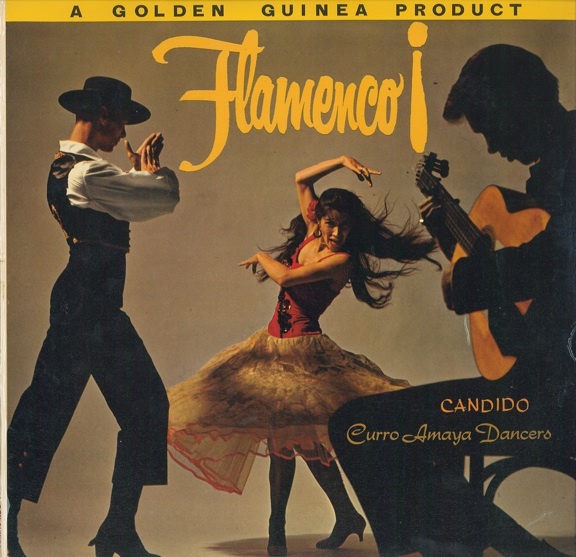 This disc is stunning – buried within the somewhat excessive collection of Flamenco related discs I acquired this week. I am actually completely ignorant of this style of music – apart from modern-variations that I have stumbled upon travelling through spain. Working my way through this disc and some of the others is however totally unlike what I have heard before. 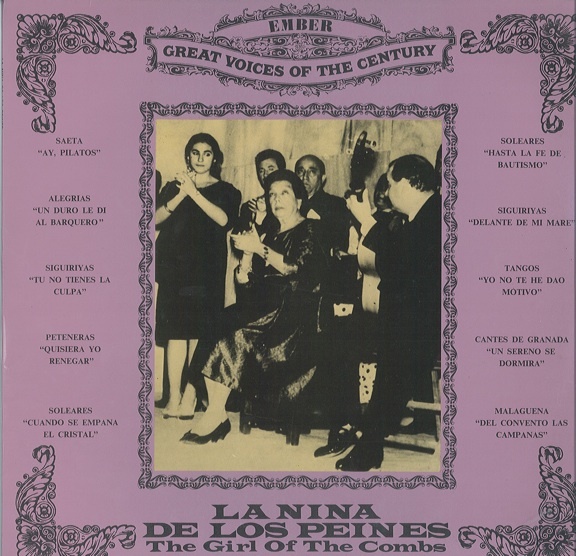 This disc is folk music of the Gypsies of Andalusia – ‘canto hondo’ (of the depths). It is a disc of music recorded between 1920-1930 of one of the greatest exponents of ‘canto hondo’ – Pastora Pavon (The girl of the combs). The fact that these recordings are between 70 and 80 years old is frankly amazing. It has the feeling of listening at times to an early-morning call- to prayer – the sounds drifting in and out of phase as they are blown by the wind. 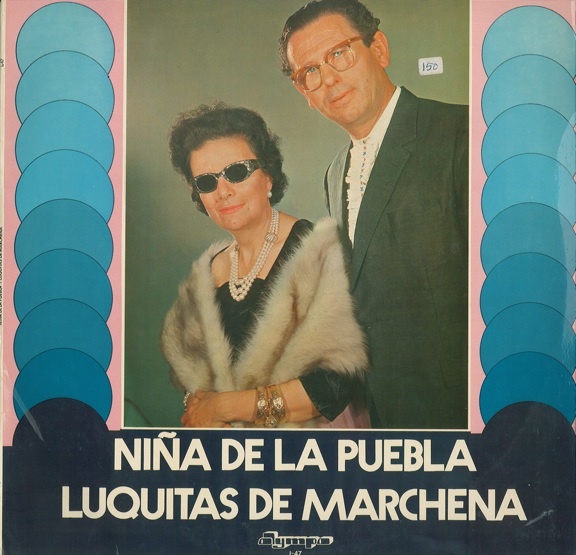 The first track in particular ”Ay, Pilatos’ consisting of a single drum beat, somewhat out-of-key horns, men talking and Pastora Pavons’ voice drifting through the mix is quite unreal (and I always assumed Flamenco was simply fast strumming on a six string!). The rest of the LP moves through various styles – all sounding utterly amazing – this will be a repeat player in this house for an age – regardless of what the others may think !! 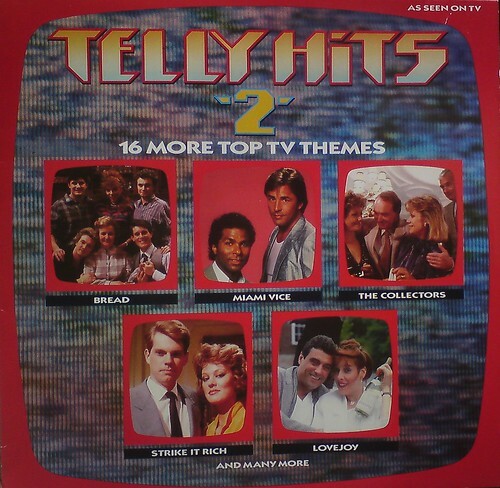 Speaking of eighties BBC themes, here’s another example I found ages ago, from the earlier half of the decade. 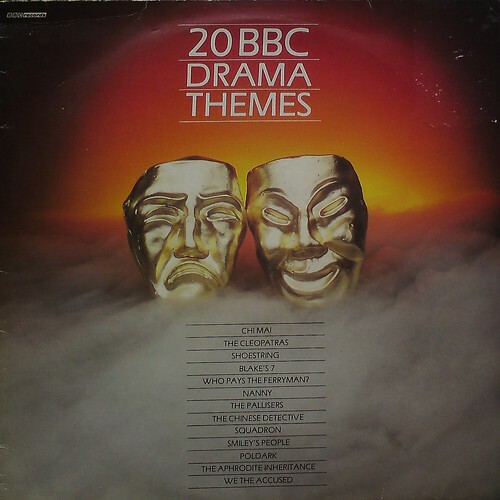 Included here are several themes from series that I watched avidly, such as Dudley Simpson‘s Blake’s 7, George Fenton‘s Shoestring and Harry South‘s The Chinese Detective, but also many that I have barely the vaguest memory of, such as Squadron, Telford’s Change, Penmarric and Poldark. Some of the more prestigious examples are Yannis Markopoulos‘ Who Pays The Ferryman? and Ennio Morricone‘s “Chi Mai” (aka theme from The Life And Times Of David Lloyd George). Serious, dare I say ‘dramatic’, stuff! Found these two huddled together recently – a fine selection of themes from the mid-eighties. Well, okay, I guess I could live without the theme from Bread, or Su Pollard‘s dreadful “Starting Together” (from The Marriage), or Paul Hart‘s piss-poor excuse for an update of Tomorrow’s World. 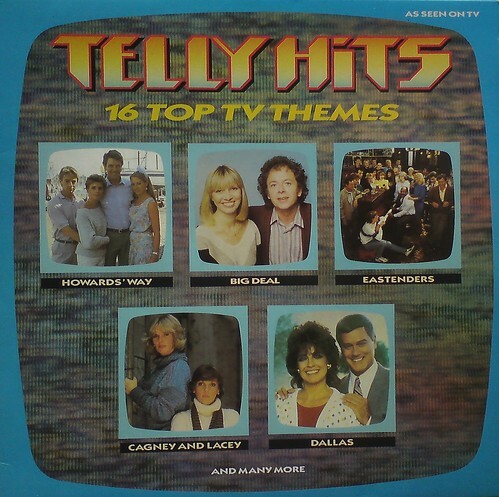 But we do have Cagney & Lacey, Bergerac, Jan Hammer‘s Miami Vice and Ken Freeman‘s Tripods. Then there’s Richard Hartley‘s synth-heavy theme for that short-lived series Dead Head (now, who remembers that one?) plus hardy perennials like The Neil Richardson Orchestra‘s “Approaching Menace” (aka theme from Mastermind) The Billy Taylor Trio‘s “I Wish I Knew How It Would Feel To Be Free” (aka theme from Film ’86) and the Douglas Wood Group‘s Snooker Theme. Not forgetting “Pop Goes Bach” by The New Dance Orchestra (aka Ski Sunday theme) and even a bit of reggae from Black Roots with their theme from The Front Line. But even the thick, fuggy aroma of nostalgia cannot disguise the fact that Booby G‘s theme from Big Deal is a stinker. God only knows what this is – sounds absolutely awful – the sort of thing you would really need to hear in some German beer festival, after downing 72 litres of ale ! 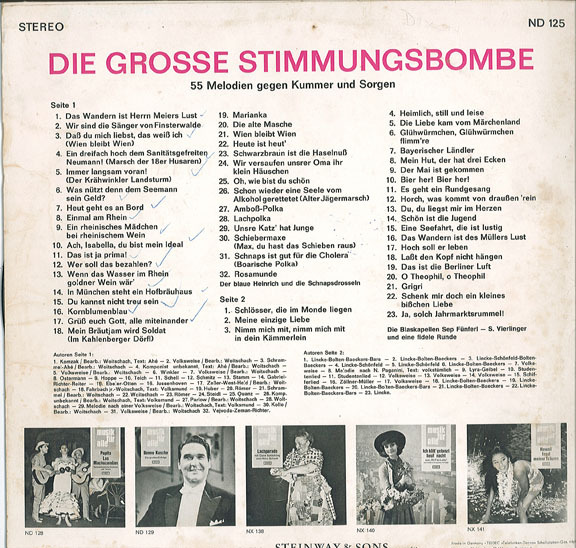 Having attempted a translation – I have so far managed to get ‘The large mood bomb music for everyone’, which I think absolutely rocks – and … if I were that way inclined (which I am) – might very well end up puting on themed nights of banging beats with this very same name!! 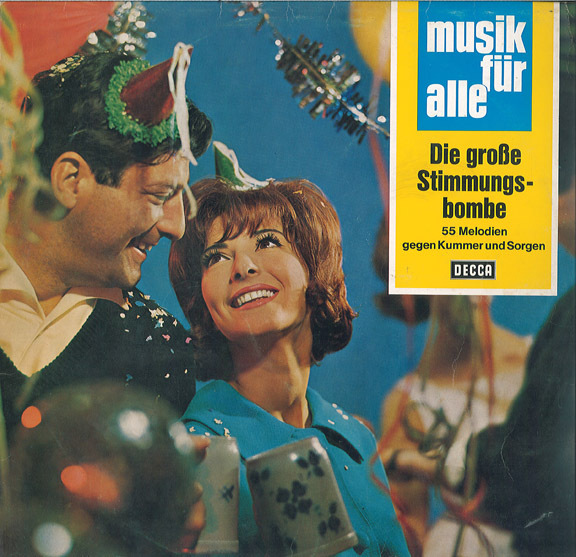 This LP however, does not even slightly contain anything whatsoever approaching ‘banging beats’ – and without the aid of understanding any German whatsoever – goes way-way over my head. 4 Ein dreifach hoch dem Sanistatsgefreiten Neumann! 6 Was nutzt denn dem Seemann sein Geld? 11 Das ist ja prima! 12 Wer soll das bezahlen? 10 Bier her! Bier her! 23 Ja , solch jahmarktsrummel! 55 of the blighters – that’s even more than Wire managed to cram onto ‘Pink Flag’ !! Now – far from wanting to come across as dissing a perfectly valid genre of music – if anyone can tell me what the frig this one is about – or if anyone actually wants it – then – it’s yours for the taking as reward. Trust me – I have tried listening to more than a minute or two – and it made me long for something more middle-of-the-road – perhaps a bit of Merzbow – or failing that – a bag of nails hammered through me skull ! A mono classic of a recording , on the London/Jamie label from way back in 1961. This is the original pressing (HA-W 2325), with a somewhat worn sleeve, but near mint vinyl – plays with a real kick! This record was produced by the mighty Lee Hazlewood, who also co-wrote a number of the tracks. So what you get are some lush productions, grooving along in a rocka-billy-way with that distinctive ‘twangy’ sound – lush stuff !! Hazlewood pushed right ahead to produce Eddy’s first hit. They formed a band made up of Al Casey, Larry Knechtel, and Steve Douglas called the Rebels. Hazlewood produced “Movin’ ‘n’ Groovin’,” an instrumental single featuring Eddy’s soon-to-be-famous “twangy” guitar. He achieved this specialized sound by tuning his six string down an octave, performing the melody line on the top strings and feeding the sound through a combination of echoes. 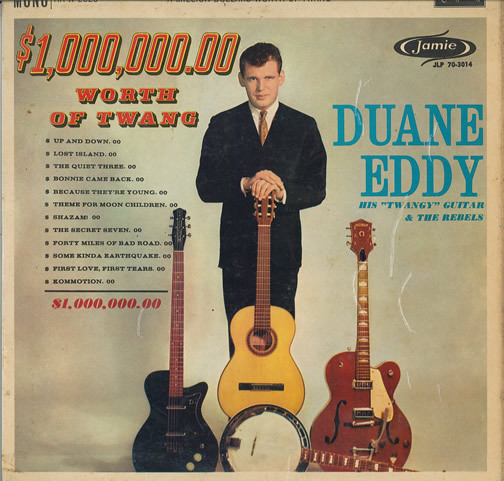 This sound became Eddy’s trademark and was a creative fusion of rock, country, and rhythm and blues. Had me grooving around the house at 8.00am this morning – what on earth I am doing listening to 60s r-n-r at this time in the morning is anyone’s guess – but sure beats commuting !! A rip-rollicking thigh slapping girl-swinging hand-clapping monster of a disc – from the ever-so-reliable – and totally collectable ‘Golden Guinea’ label …..
Know what I’m sayin ? Vital!! First up is this babe – obviously purchased initially for no other reasons than the sleeve is so bleedin classic an example of hyper-cool design – it simply had to be owned. This is a pairing of 2 greats – and is recorded as if they have simply sat down and without a care in the world ploughed through a set of old folk standards (which they may well have done). I will not attempt to go into the backgrounds of either of these artists – needless to say – they were huge – and the web will provide you more than enough details.. Nothing like a bit of Spanish folk music whilst cooking a spicy curry hey !! 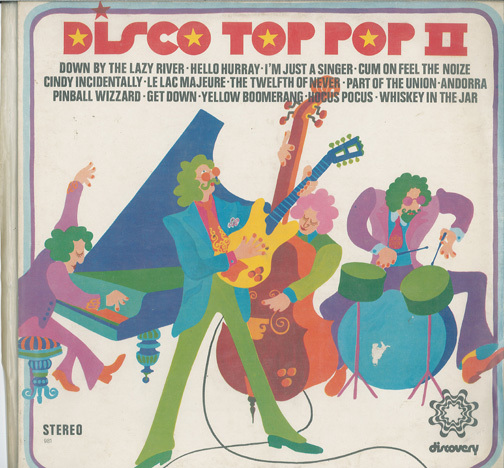 So what you have here – is one hell of a cool sleeve – in uber-funky 70s colours and fonts. This is some sort of MFP style thing of covers – but man what covers – this is a full-fledged rock outfit banging this stuff out here – and is bloody excellent. The version on here of ‘Hocus Pocus’ seriously rivals (I kid you not pop pickers) the original Focus version – and being so familiar with the original – this is an absolute pleasure to hear. Also worth a mention are fine versions of ‘Cindy Incidently‘ and beleive it or not ‘Whisky in the Jar‘. This is exactly the sort of classic – otherwise unknown disc that makes all that back-aching crate searching worth the effort. Classic stuff…..
What is nice about this sort of disc is the fact that all the tracks were recorded in 1 single session on 12th July 1967 – all 12 numbers – and man they sound as fresh today as I am sure they did back then. The time is now ripe for you Blues devotees to make your presence known. Demand recognition for your music! It is time for a major blues crusade! Angry words for an angry time (and I thought back then it was meant to be all peace, love and understanding ? This week I have scored, for no more than 50 pence each, 4 LPs that simply should not be turning up in scruffy-down-at-heel thrift stores in down-town Yeovil. Seems some dude/dudeette decided to offload a bucket-load of mostly blues discs – this one featured here being the first one I shall review. 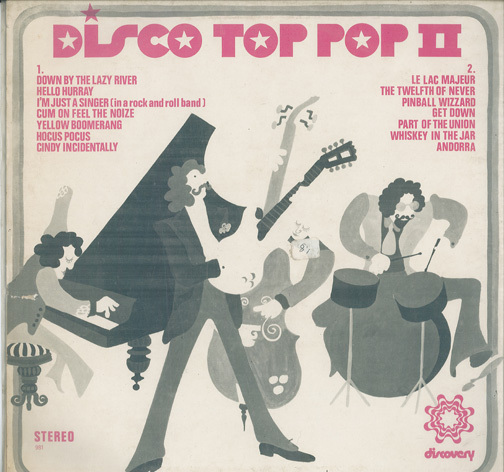 On searching the web – seems an original Mono version of this in mint condition (which this is) is fetching 60 euros or more – so I suppose on a fat-cat-stock-broker-investment type-thang – I am quids in….. 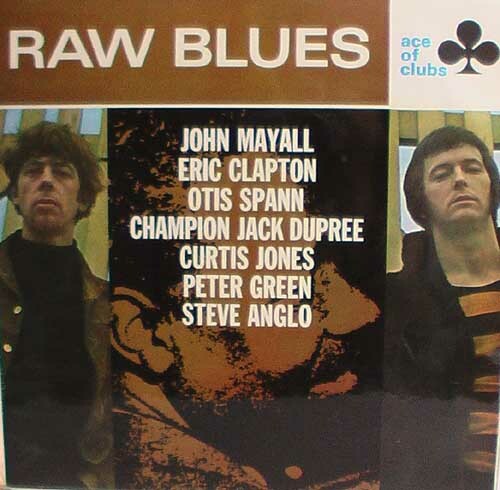 Highlights have got to be ‘Calcutta Blues’ from the mighty Champion Jack Dupree, along with ‘Pretty Girls Everywhere’ by Otis Spawn. 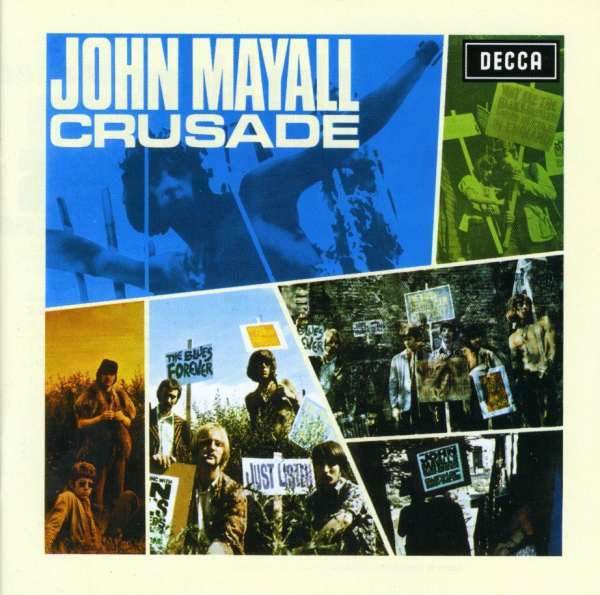 The disc is littered with collaborations from some hard-hitters such as Mayall/Clapton/Green, which I am sure if you are into this stuff you would totally dig.